Intel SSD 120GB (SSDSCKKW120H6X1) by Intel at Andy Pemberton. MPN: SSDSCKKW120H6X1. Hurry! Limited time offer. Offer valid only while supplies last. Intel 540s series SSDSCKKW120H6X1 120GB M.2 SATA3 solid state drive (TLC). capacity: 120GB. Form factor: M.2. Interface: SATA3. Nand Flash: TLC. 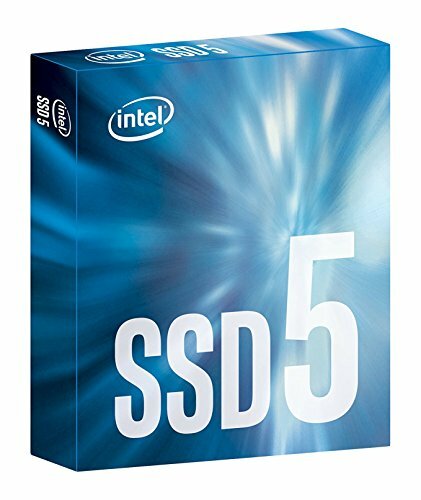 Intel 540s series SSDSCKKW120H6X1 120GB M.2 SATA3 solid state drive (TLC). capacity: 120GB. Form factor: M.2. Interface: SATA3. Nand Flash: TLC. Latency: read - 50 s; write - 50 s. Iops: random read (8GB span): 60,000 iops; random write (8GB span): 50,000 iops. Bandwidth: sequential read: 560 MB/s; sequential write: 400 MB/s. Vibration: operating: 2.17G (5 - 700 Hz); non-operating: 3.13G (5 - 800 Hz). shock: operating: 1000G at 0.5ms; non-operating: 1000G at 0.5ms. Mtbf: 1,600,000 hours. Power consumption: active: 80 mw (typical); idle: 40 mw (typical).